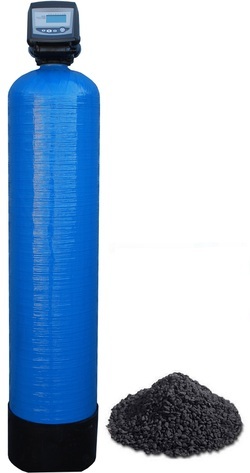 Granular Activated Carbon (GAC) filters are an excellent choice for removal of chlorine, taste and odour, or organics in water. Some types will even reduce metals. There are many variations but most based on coconut, coal, wood or bone. ﻿﻿﻿GAC works by absorbing the soluble pollutants onto its surface and holding them. Because it has such a massive surface area the amount of absorption is probably one of the greatest of any natural man made material available. Eventually all the pores are filled and the carbon will need to be replaced. As the contaminants are absorbed onto the carbon backwashing the filters is a good idea as the pollutants are held firm but the carbon can be rebeded stopping channelling.